Also known as Unity in Diversity, India welcomes its guests with full spirit and gusto. A large chunk of hotels in India accommodate the influx of tourists throughout the year. India hosts all types of accommodation which include luxury hotels, heritage hotels, eco-friendly hotels, Spa & Ayurveda resorts and budget hotels. Our mother land is known for treating its guests as god and this can be felt in any part of India. As far as accommodation is concerned, every nook and corner of India provides ample facilities. In recent years, several good hotels have popped up here to cater the needs of the tourists. The accommodation in India fits the pocket of every tourist. People stay in these hotels for various reasons and the hotels are trying to figure out the exact requirements of the guest in order to provide customized services. In this blog, we will try to segregate multiple hotel categories under the head of five prominent destinations-Goa, Kerala, Mumbai, Delhi and Kolkata. Delhi, the capital of India, is a bustling city and offers a rich cultural, historical and architectural heritage. The city offers a perfect juxtaposition of traditional and modernity. It is third largest city in the world and renowned for its spectacular forts, European style buildings built during British Raj, vibrating nightlife and lively markets. It is the center of political administration and home to many multinational companies. There are scores of hotels in New Delhi that offers luxurious accommodation, personalized services and impeccable hospitality. The five star and luxury hotels in New Delhi offer excellent accommodation equipped with state of the art amenities and coupled with business facilities. These hotels are beautifully designed, well-equipped and provide best services. 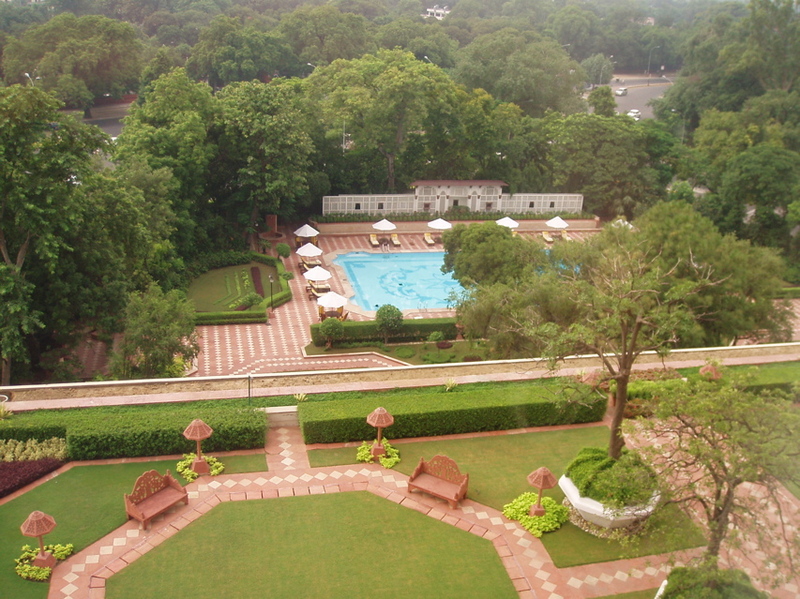 Some popular luxury hotels in New Delhi include Oberoi Hotel, Hyatt Hotel, Connaught Hotel and Taj Mahal Hotel etc. There are thousands of places to see and visit in New Delhi. This calls for a need of budget hotels in Delhi. 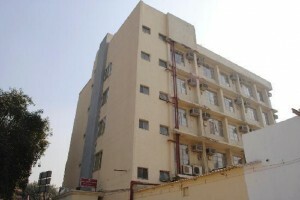 The hotels near New Delhi Railway Station are readily available. The main goal of these budget hotels is to provide comfortable accommodation. 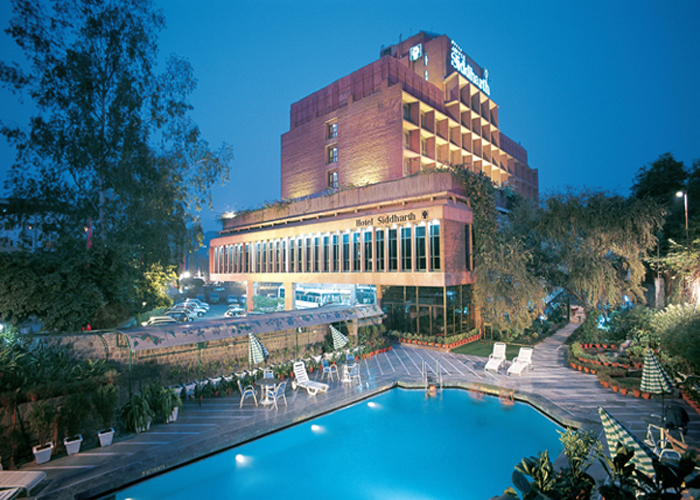 The hotels near New Delhi Railway Station are well connected with other parts of the city. They also offer transport facility to the tourists. Find the list of best budget hotels in New Delhi. 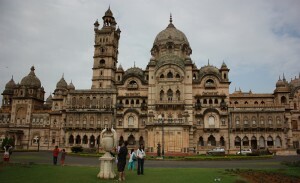 Mumbai is often termed as dream destination by many travelers from across the world. 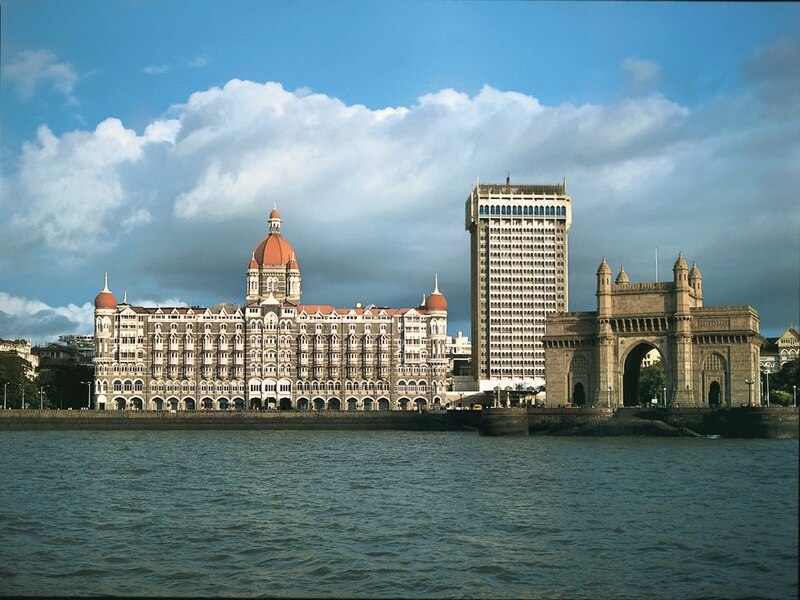 A cosmopolitan city by all standards, Mumbai tourism has grown tremendously over the years. Also known as the ‘Celluloid Capital of India’, Mumbai has something in store for everyone. It is one of the growing metropolises of the country and is well-connected to the rest of the world. Mumbai is well-connected to major cities in India via roads, railways and airways. Some major attractions in Mumbai include The Gateway of India, Siddhivinayak Temple, Haji Ali Dargah and Juhu & Chowpatty Beach. Here is the list of various hotels in Mumbai. 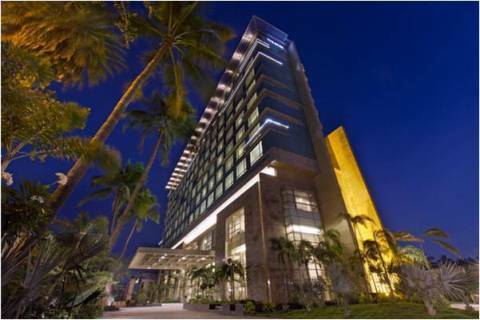 The five star hotels in Mumbai are counted amongst the best five star hotels in India. The deluxe hotels in Mumbai offer the tourists a service which is fabulous to experience. 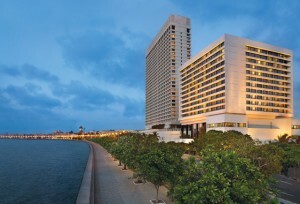 Moreover, staying at five star Mumbai hotels located on the beachside is like cherry on the cake. Some popular five star hotels in Mumbai include The Gordon House Suites, Hotel Sahara Star, Intercontinental Marine Drive, hotel Tulip Star Mumbai, The Orchid hotel and the Ramada Plaza Palm Grove. Mumbai is a melting point of various cultures and invites people from all walks of life. It won’t be an overstatement to say that hotels in Mumbai are built in a manner to suit every pocket. Available at a very low price, these hotels are equipped with the basic amenities and comfortable ambience. Some popular names in the list include Sea Side, Metro Palace, Nangina, Plaza and Garden. The erstwhile capital of India, Kolkata has always attracted a city that attracts tourists. The city is famous for its culture, its cuisine, and above all its art & architecture. The city was established by the British and also embraces the panache of the western culture. The city is quite famous for its theater, music, art and football among others. It is very important to find a proper hotel in Kolkata that suits your budget. 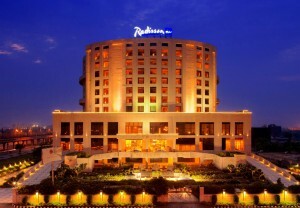 When it comes to five star luxury hotels in Kolkata, most properties are located at the heart of the city and around it. 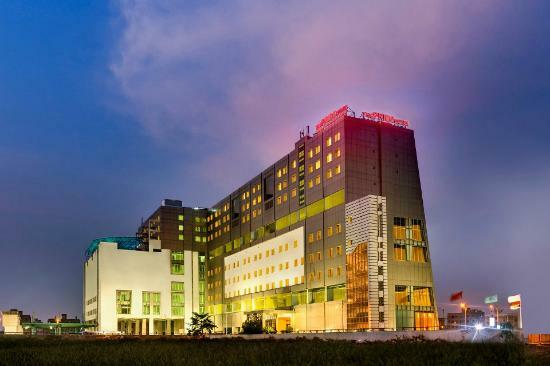 Out of different arrays of hotel categories that dot the city, the five star hotels in Kolkata have created a niche with their impressive architecture and state of the art dining & wining facilities. These properties are a cocoon of comfort and luxury. Some of the best five star hotels in Kolkata include The Golden Park, The Fort A Radisson Resort, ITC Hotel The Sonar and The Hotel Hindustan International. 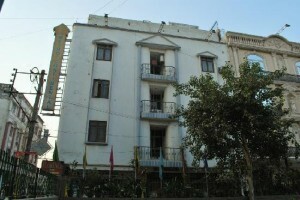 Most of the budget hotels in Kolkata are located in the Park Street region and Dharmatala. Being a metropolitan city, people from surrounding areas come in search of jobs and better life. These people don’t have enough money to stay in the high-end hotels. The budget hotels cater to them and also to the tourists who wish to save on accommodations. Some popular names in the list of budget hotels in Kolkata include hotel Royal Garden, hotel Paramount and hotel Venkateshwara. Also known as ‘God’s Own Country’, Kerala is positioned on the southern tip of the Indian mainland. Kerala is hotshot tourist destination in India and famous for its backwaters, traditions, historical structures, wildlife and unusual beauty. A tour to Kerala is a once in a lifetime experience which mesmerize the visitors with its tranquility and beauty. Some popular places to visit in Kerala include Kovalam, Kumarakom, Alleppey and Kochi. There are an adequate amount of good accommodation choices available in Kerala and the sight is still getting better day by day. There are a huge number of deluxe hotels that fulfill the needs of travelers and let you discover the surrounding areas. The luxury hotels in Kerala render brilliant technology with a sense of style and ambience. These hotels are enhanced with world class luxury and imbibe the element of Kerala’s traditional hospitality. Some popular five star hotels in Kerala include Vivanta by Taj Malabar, Kumarakom Lake Resort and The Zuri Kumarakom among others. With its increasing popularity, Kerala hotels are being developed to make your stay comfortable and memorable. 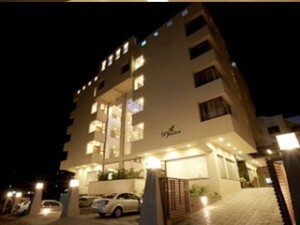 The 3 star and budget hotels in Kerala come equipped with all the required modern amenities and facilities. Easy at your pockets, budget hotels in Kerala are a perfect choice to stay in. Some popular names in the list include hotel Cochin Tower, Coconut Bay Resort, Hotel Sea Face and Akers Resort. 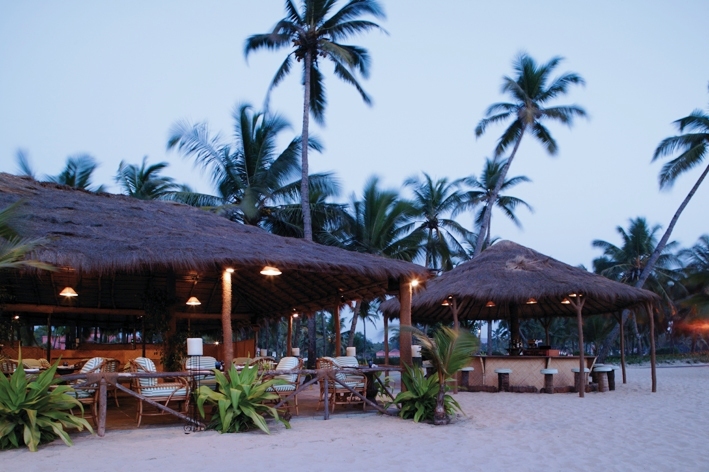 Known for its quaint environs and untouched beauty, Goa is a cocoon of comfort and rejuvenation. Goa tourism has a lot in store for visitors which include sun-kissed beaches, stunning churches, architectural edifices, scenic waterfalls and aromatic spice plantations. However, the highlight of Goa holiday is undoubtedly its beaches namely Anjuna, Baga, Colva, Vagator and Candolim etc. When it comes to hotels in Goa, one can expect excellent hospitality and hordes of business, recreation and fitness amenities. 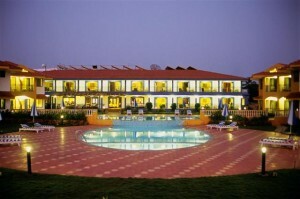 The five star hotels in Goa can be categorized as Deluxe Hotels, Beach Resorts, Business Hotels and Heritage Hotels. Each of the aforementioned categories has a distinct character and offers a wide platter of variety to choose from. These hotels are fitted with modern amenities, ornately designed interiors and over 100 guest rooms & suites to choose from. Some popular hotels in Goa include Fort Aguada Beach Resort, Taj Exotica, Park Hyatt Resort & Spa, The Leela Palace and Intercontinental The Lalit Goa Resort. A majority of people coming to Goa are on a tight budget; hence, they would rather stay in cheaper hotels. 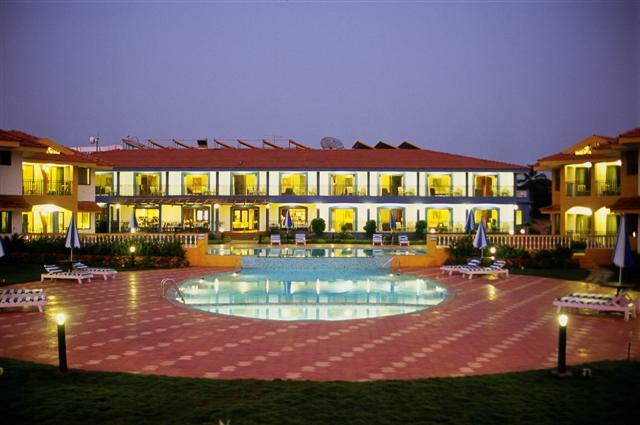 The budget hotels in Goa offer comfortable stay for the guests. The rooms are clean and the service is hospitable. The help desk of these hotels can arrange for sightseeing tours of Goa. It can also arrange water sport activities and other excursions. Here is the list of popular budget hotels in Goa include Mayfair Hotel, William Beach Resort, Peravel, Resorte De Goa and Resort Santa Monica Goa. Also check-out the popular hotels in India by cities. 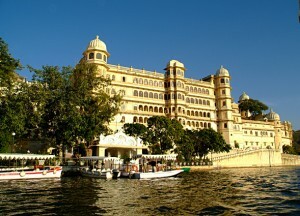 Referred to as the ‘Venice of the East’, Udaipur allures the holidaymakers belonging to different aspects of the world. 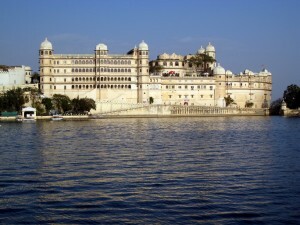 The city is quite famous for its forts, havelis, magnificent palaces, pristine lakes and traditional handicrafts & art. The stunning architecture of palaces reflects the splendor of a royal era and captures the heart of every visitor. Hotels in Udaipur provide accommodation facilities to both business and luxury travelers alike. Many rooms of these hotels offer scenic views of the wonderful Lake Pichola. The categorization of hotels in Udaipur is done on the basis of Heritage Hotels, 5 Star Hotels, 3 Star Hotels and Budget Hotels among others. 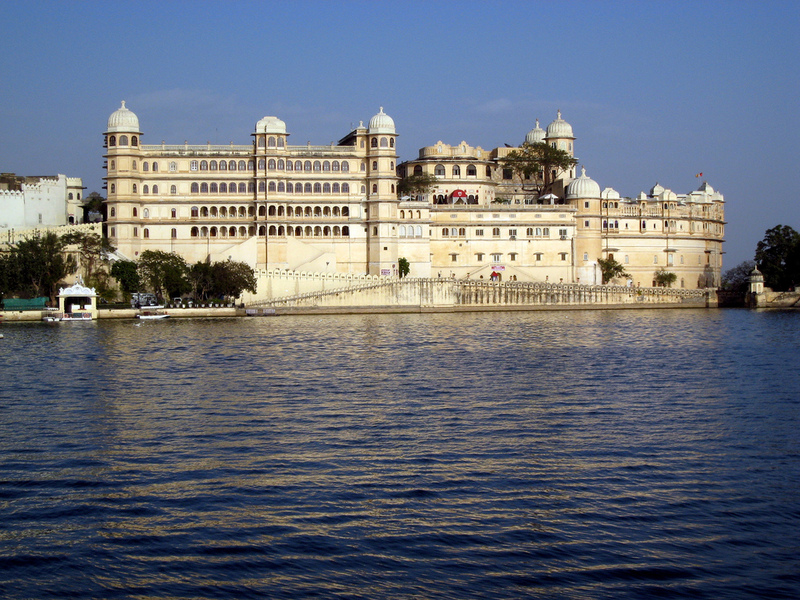 Here’s a segregation of best hotels in Udaipur for your kind perusal. Heritage Hotels in Udaipur are a dream destination for spending romantic holidays where tourists from all around the world visit to experience the sprinkled charm of nature and culture. There are several ornately designed palaces and Havelis that have been transformed into heritage hotels. These palaces are unique in grandeur and stands as a living testimonial of the valor of Rajput Kings. Here tourists can enjoy the royal hospitality during their stay. Lakshmi Vilas, City Palace, Jag Niwas, Jag Mandir and Monsoon Palace are the names of five prominent heritage hotels in Udaipur. The 5 star hotels in Udaipur are distinguished from other hotels in the category on the grounds of lavish interiors and marvelous architecture. The guest rooms in the five star hotels in Udaipur represent comfort and convenience. The aesthetically designed interiors are seamlessly blended with modern conveniences to provide an enjoyable and comfortable stay. These luxury hotels offer equally good dining experience. The restaurants in these hotels offer delectable cuisines on the platter of the guests ranging from Indian, Chinese and Continental food. These hotels are an ideal retreat for the business guests with latest equipments such as laptops, portable printers, broadband internet access and multimedia computers. 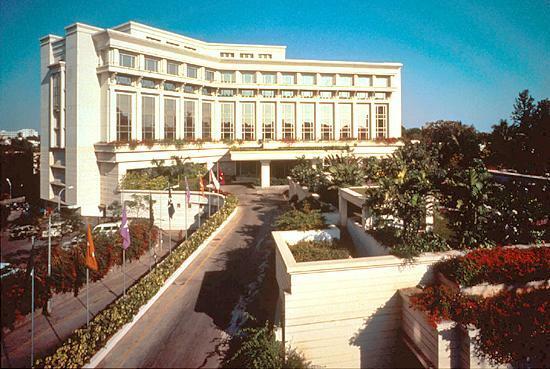 Some popular hotels are The Leela Palace Kempinski, The Lake Palace, Udaivilas Resort and Trident Hilton Hotel. The three star hotels in Udaipur enjoy advantageous and strategic locations in the city. These hotels are dedicated to serve guests with the best and come with excellent dining facilities as well. These hotels have multi-cuisine restaurants that serve mouthwatering and delectable delicacies to tickle the taste buds of the guests. Besides, Udaipur three star hotels also feature comprehensive range of recreational amenities to engage guests and add an extra level of comfort to their stay. Jaisamand Island Resort, hotel Udai Kothi, hotel Hilltop Palace, hotel Heritage Resort and Hotel Quality Inn are some popular names in the list. When it comes to budget hotels in Udaipur, they are the right lodging options for the tourists looking forward to a peaceful stay. These hotels are dotted all over the city making it one of the best destinations for budget travelers. These hotels have clean and spacious rooms which come along with all types of facilities and modern amenities. 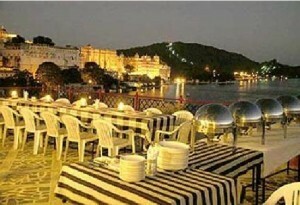 Budget Accommodations in Udaipur also feature in-house restaurants to tickle every taste bud. For unlimited fun and recreation, budget hotels in Udaipur offer swimming pool, live entertainment, indoor games and playgrounds for children. Recreation facilities also entail desert safaris, camel safaris and other sightseeing tours. Hotel Ajanta, Hotel Ashish Palace and Hotel Shalimar Palace are some popular names in the list. This completes the segregation of hotels in Udaipur as per the industry standards. For those who are looking forward to a stately experience, heritage hotels are the best bet available. 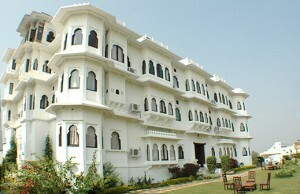 But if value for money is what your cup of tea, 3 star hotels in Udaipur will suite you the best. Budget hotels are a favorable choice for tourists on a shoestring budget. Also check-out the most popular hotels in India by cities. Built by Maharaja Fateh Singh, on the shores of Lake Pichola, the Fateh Prakash Palace is a part of the City Palace complex. 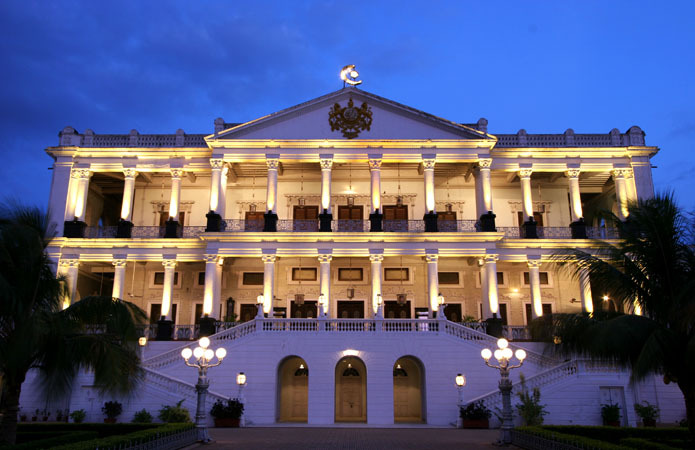 The palace is a gorgeous repository of exquisite chandeliers, unique crystal & crockery collection and rare paintings. The rooms and suites in this hotel are decked with original paintings and period furniture from the royal storerooms. The hotel provides several facilities such as boating, swimming pool, bird and wildlife watching. 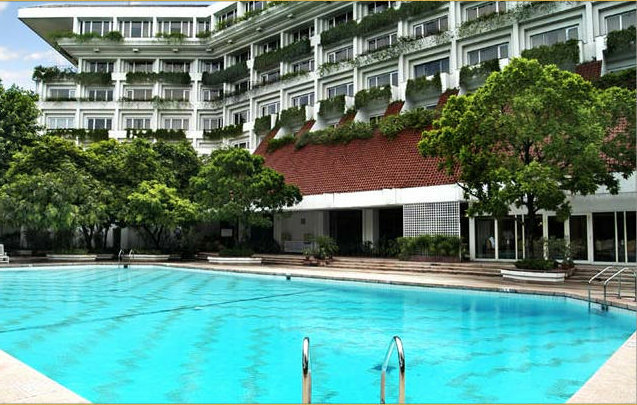 The serene ambience offers relief from the hustle-bustle of the daily life. 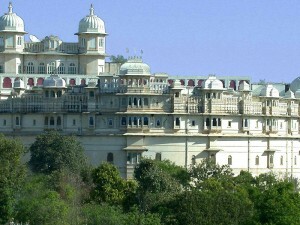 Shiv Niwas Palace is one of the renowned luxury heritage hotels in Udaipur. The crescent-shaped palace was built in the early 20th century, during the reign of Maharaja Fateh Singh, and has been tastefully restored to enable a luxurious stay to the guests. The hotel has 36 beautifully designed rooms and suites that houses miniature paintings and original furniture that have been with the family for generations. Other facilities offered at Shiv Niwas Palace include banquet & conference hall, Ayurveda Spa, travel desk, two-way airport transfers and classical music in the evenings etc. Located in the heart of Rajasthan, amidst the majestic Aravalli Hills, the Lakshmi Vilas Palace is a perfect staying option for leisure and business travelers. 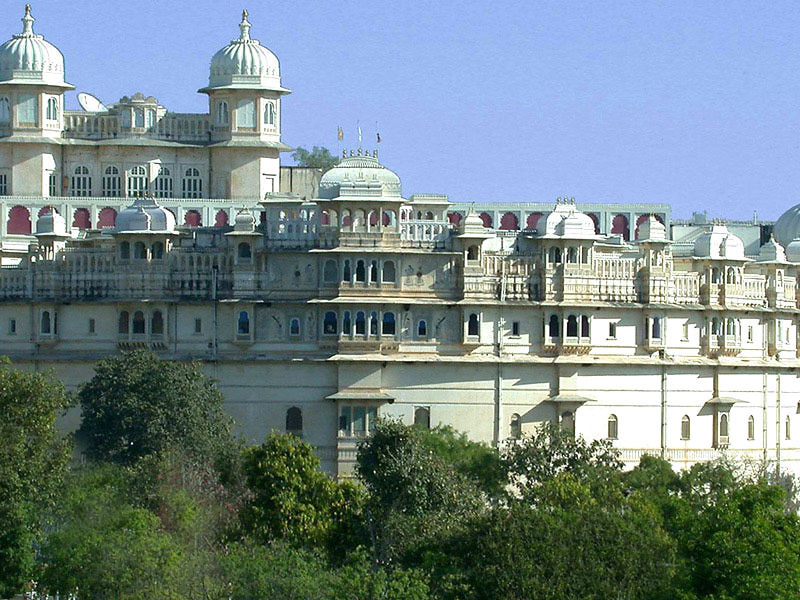 A perfect epitome of Mewar’s architectural grandeur, this palace is one of the major attractions in Udaipur. 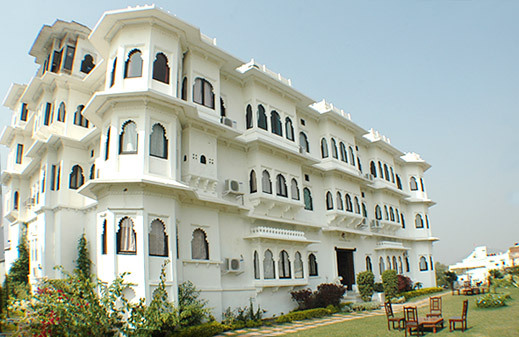 The heritage hotel in Udaipur features 43 guest rooms and 10 royal suites equipped with a range of modern amenities. Besides, there are two restaurants- Aangan and Padmini- which serves a good variety of Indian, Chinese, Continental and Rajasthani cuisines. Other facilities include banquet & conferencing facilities, safe deposits and florist on request among others. Book your stay at the Wonder View Palace to add pleasure to your holidays in Udaipur. The hotel is equipped with well-appointed rooms that are comfortable, spacious and offer unrestricted view of Old City and Lake Pichola. Other facilities offered in this hotel include multi-cuisine restaurant, direct dial telephone, postal service, laundry service, car rental, puppet show, travel assistance and bathrooms with running hot & cold water among others. Built in 1920, Karohi Haveli exhibits traditional Rajputana architecture and offers royal experience of Rajputana style living. Each room in the Karohi Haveli offers wonderful view of the lake and features a terrace overlooking the City Palace, Havelis, Temples and the Old City. The clean and spacious rooms are elegantly coupled with state of the art amenities in a traditional manner. There is a roof-top floor restaurant where you can dine with your friends and relatives. The aforementioned list of Udaipur hotels are some of the best heritage properties in the city. Most of these hotels are the royal abodes of the erstwhile rulers of Udaipur and have refurbished to provide a royal experience to the guests. The perfect accommodation option for both leisure and business travelers, 5 star hotels in Delhi are known for offering excellent and flawless personalized services. The city houses a number of such as first class properties including Leela Kenpinski, Le Meridien, Radisson, Shangri La and Taj Mahal. Such kinds of hotels are strategically located, quite close to entertainment as well as business hubs. Epitome of world-class facilities, they offer their guests a comfortable stay amidst contemporary facilities such as swimming pool, an array of fine-dining restaurants, business services, conference halls, round the clock parking, luxury transfers and much more. The rooms and suite are also extremely well-maintained. Hotel City Park, Hotel Diplomat, Hotel Samrat and Hotel Hans Plaza are some of the hotels that fall under this category. Offering a comfortable stay amidst world-class facilities, four star hotels are just the right kind of accommodation option for business as well as leisure visitors of the city. By opting for such hotels, you can avail all kinds of modern comforts and luxuries, amidst a luxurious setting. Have a pleasant stay while enjoying warm hospitality services of the well-mannered staff. Guests can avail a number of services such as different room categories, medical and travel assistance, restaurants serving dishes of Indian and International fares, business services, entertainment options, banquet facilities and more. If you are looking for a comfortable stay but at rates that are affordable, then 3 star hotels in New Delhi are what you must opt for a stay in. you can pick any from the long list of affordable hotels in New Delhi including Hotel Surya Continental, Lemon Tree Hotel, Hotel Tivoli Garden and The Corus hotel. The guests whose idea of a pleasant stay is enjoying a stay in well-maintained room with all the basic facilities and services, a restaurant serving tasty food and availing some other hospitality services, they are going to love staying here. These hotels offer impeccable services to people on family day and to those who are visiting the city for business purposes. In case, you are a traveler with a budget constraint, budget hotels would be the right option for you. Have a relaxed stay amidst basic necessities in hotels such as Jukasoo Inn Down Town, Pooja Palace Hotel, International Inn, New Frontier hotel, Hotel White Castle and so on. Most of such hotels are placed in close proximity to the railway stations and airport as they are opted by business travelers and backpackers who need bare minimum facilities as they are frequent travelers. These hotels offer room service, clean rooms with attached bathrooms, a reception, meals in the rooms etc. Here is the list of best budget hotels in New Delhi. 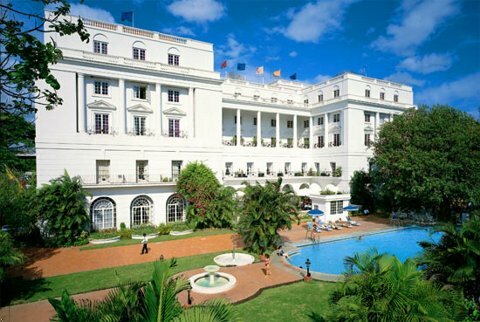 Hotels in Bangalore: Luxurious and Comfortable Accommodations at Astonishingly Low Prices! One of the best destinations in India for a family tour is Bangalore in Karnataka. The metropolitan city of Bangalore (now Bengaluru) is regarded as the best city of the country. The climate in and around here is very pleasant throughout the year. It also has a vibrant nightlife with excessive drinking and rock music being its chief components. Tourists also love coming here for a taste of delicious cuisine and also for shopping excursions. Being the hub of India’s IT sector, Bangalore showcases the upcoming face of New India. Because of all these reasons, the city is replete with numerous tourists who are on either vacations here or have come for some business venture. For the accommodations of all kind of tourists, the hotels in Bangalore are amazing options. Even if you have some relative living in this part of the country, still Bangalore hotels are more comfy options to stay in. It is not an exaggerated statement if one says that best hotels in India are in this city. The accommodation facilities in Bangalore can be classified into various categories. Those who wish to experience it all in Bangalore and do not mind spending it a little extra must decide to stay in any of the luxury five-star hotels in the city. All these hotels are on top of their game when it comes to offer opulent comfort and splendid luxury to the guests. Because of this reason only, 5-star hotels in Bangalore are the primary choices of business tycoons, corporate industrialists, IT geniuses and South Indian film stars, when they visit the city. All these hotels are built strategically, in some of the most posh societies around the city. The food of Bangalore 5-star hotels has been recognized all over the world and has received several accolades and awards over the years. The international corporate can conduct any kind of business seminars, meetings, parties or even launching conventions with top quality business facilities in these hotels. 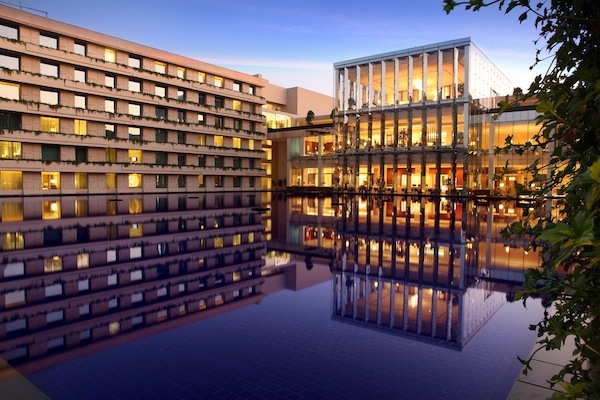 Some of the best 5-star hotels in Bangalore include Fortune Park Jp Celestial, The Oberoi Hotel Bangalore, The Park Hotel Bangalore, Hotel Leela Palace Bangalore, Taj West End Bangalore, Windsor Sheraton & Towers Bangalore, etc. Tourists who do not wish to keep themselves on their pre-decided budget, but want the top quality of services and facilities in the city, should simply book a stay in any of the deluxe 4-star hotels in Bangalore. All these hotels give a stiff competition to 5-star hotels in the city as they provide almost same kind of luxuries and comforts at very accommodating rates. The hotel staff is very warm and treats every guest with traditional Bangalore hospitality. The tourists are often thrilled with the level of services they are being offered here. These hotels have become favorite accommodation facilities in the city for one and all. Some of the best 4-star hotels in Bangalore include Taj Gateway Hotel Bangalore, The Capitol Bangalore, The Chancery Bangalore, Hotel Atria Bangalore, St. Marks Hotel Bangalore, The Jayamahal Palace Hotel Bangalore, etc. 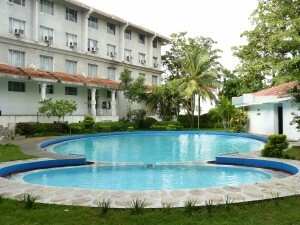 The most comfortable affordable hotels in Bangalore are the 3-star hotels. The guests who stay in these hotels are never left wanting for more and regretting their selection of hotel. The rooms in every Bangalore 3-star hotel are elegantly furnished and beautifully decorated. All the modern day comforts and services are made available in all the rooms. The food in these 3-star hotels comprises of multi-cuisine and brings out the essence of world class cooking. Even the business facilities in these hotels are top-notch and a business family really enjoys their stay in any of these hotels. 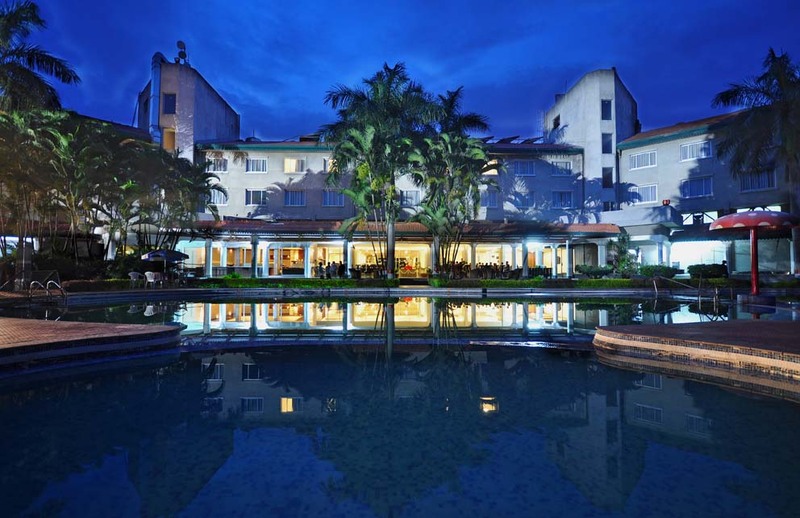 Some of the best 3-star hotels in Bangalore include Royal Orchid Harsha Bangalore, Regaalis Bangalore, Ramanashree Brunton Hotel Bangalore, Rest Inn Bangalore, Sn Paradise Hotel Bangalore, Vt Paradise Hotel Bangalore, etc. The tourists who decide to go on a tour to cosmopolitan city of Bangalore but are keen on spending thriftily, must book any of the budget hotels in the city. None of these hotels are disappointing and all of them ensure a comfy stay. At surprisingly low rates, the guests could make the best of their stay in Bangalore. All these hotels are located nearby major attractions in the city and hence the tourists are also able to save money on traveling. Some of the best budget hotels in Bangalore include Nalapad Residency Bangalore, Nilgiris Nest Bangalore, Pleasant Stay Inn Bangalore, Natasha Inn Bangalore, Maurya Hotel, Woodlands Hotel Bangalore, etc. 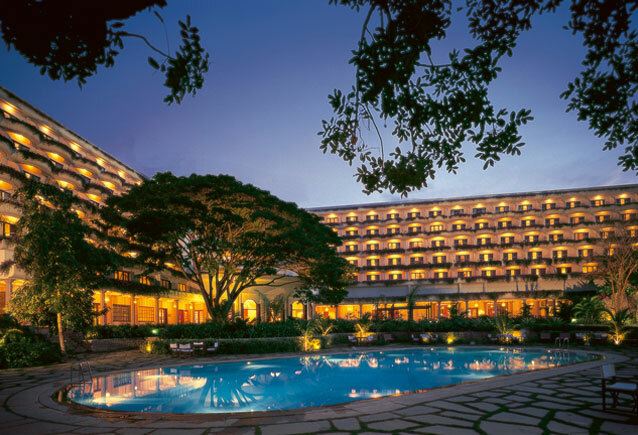 Most of the times, families and business tourists in Bangalore look to have a hotel where they could re-energize and rejuvenate themselves after tiring excursions in the city. For such purposes, there are several amazing Spa hotels in the city that ensures one could have a purely relaxing time. All the spa resorts work with only one goal set in their minds: to not let tourists drain out after sightseeing or business activity in the city. The guests are treated with top quality Spa and sauna services and facilities in the hotel, so they could forget all their stresses and tensions. The medical science of Ayurveda is mixed with modern therapeutic treatments in several spa resorts in the city. Some Bangalore spa hotels also practice some experimental spa techniques so that one could have a healthy mind and calm soul. Check out various hotels in India by cities at affordable prices. Some of the Spa Hotels in Bangalore include Holiday Village Bangalore, Ramanashree California Club & Resort Bangalore, Shakthi Hill Resorts Bangalore, Manipal County Bangalore, The Dominion Country Club Bangalore, etc. Karan Saxena is a literature student, with keen interest in writing about India and the world. His write-ups give an intricate, detailed version of the cultures and surroundings of the locations, he is writing about. All his write ups are thoroughly researched and completely accurate in providing factual details. Choosing an accommodation is the most important about aspect of travelling. It is important to decide whether you want to live king size moments in a high-end hotel or prefer to stay in a simple budget hotel. The availability of hotels in India is never a problem. Also, with hospitality industry operating online, finding suitable Indian hotel packages has become a lot easier. Delhi, Mumbai, Chennai and Kolkata are the name of the few cities which have gained international recognition and serves as a gateway to Indian cities for many tourists. The rapid growth in Indian economy is showing an impact on hospitality sector as well. In India, one can find accommodation in different kinds of hotels as per their budgets. These properties are classified as luxury hotels, heritage hotels, budget hotels, eco-friendly hotels, economy hotels and Spa & Ayurveda resorts. In this blog, I would talk about accommodation options available across different metropolitan cities in India. Check out the list of hotels in India by cities. New Delhi hotels offer a fine blend of hospitality and excellent services and cater to the guests of all classes, depending upon their needs and spending capacity. If you are running on a shoestring budget, the hotels in Pahar Ganj area are apt for you. One such example is Hotel Ashiana. 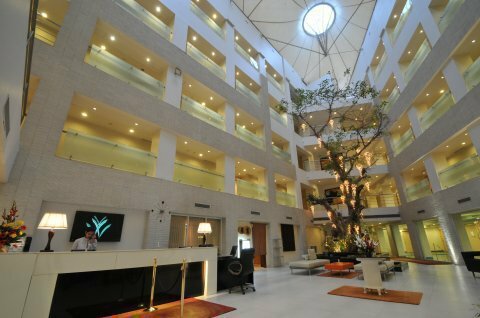 It is a prominent 3 star boutique hotel located in the heart of New Delhi. It is just 2 minutes walk from Metro Railway Station and 0.5 kilometer from railway station. A part of Kukreja Group of Hotels, hotel Ashiana offers great service and convenience to the guests and tops the list of affordable hotels in New Delhi. Then there are some high-end properties in New Delhi such as The Leela Kempinski, Taj Mahal Hotel, The Oberoi, The Ashok, Ramada Inn Plaza, Le Meridien and The Park Hotel. One of the busiest metropolitan cities and ‘Financial Capital of India’, Mumbai is visited by dignitaries, business tycoons and celebrities. A shopper’s paradise, Mumbai has everything a metropolitan city can offer. The pulsating nightlife speaks volumes about the western influence on the young guns. The hotels in Mumbai, by and large, offer great services such as elegant rooms, attached bathrooms, air –conditioning, direct dial telephone and running hot & water service etc. Other facilities include state of the art dining facilities and conference rooms equipped with business amenities. However, to accommodate high-end travelers and dignitaries, some popular names include Trident Nariman Point, Taj President, West End Hotel, Kohinoor Continental, Sahara Star and Taj Lands End. Fondly known as the ‘Cultural Capital of India’, Kolkata is one of the most charming destinations in India. The former capital of British India, Kolkata still retains a colonial air manifested in numerous colonial mansions sprinkled across the city. Hotels in Kolkata have been designed to maintain the former elegance and grandeur associated with the British. 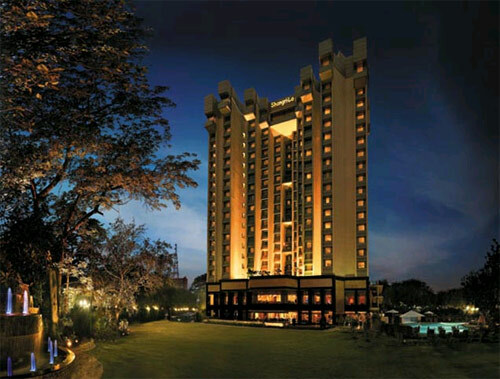 The luxury hotels in Kolkata are run by the major names in the hospitality industry such as the Taj Group, Oberoi Group, Hyatt Regency and The Lalit. Another aspect of Kolkata hotels is the presence of multi-cuisine restaurants located within the premises of your hotel. Here you can feed your taste buds with a range of Indian and international cuisines. Also one can contact the travel desk located within the premises of your hotel to book a city tour such as Victoria Memorials and Howrah Bridge. Located along the Coromandel Coast, Chennai is one of the biggest metropolitan cities in India. The city witnesses a huge influx of tourists which includes both leisure and business travelers. Of late, several hotels have opened in the city and they can be classified as 3 stars, 4 stars and 5 stars. Laced with advanced technologies and chic design, Chennai hotels are top-notch properties. These hotels match up to international standards of hospitality by offering efficient services including dining, recreation and business. The hotel list includes The Accord Metropolitan, The Park and Trident Hilton Hotel. 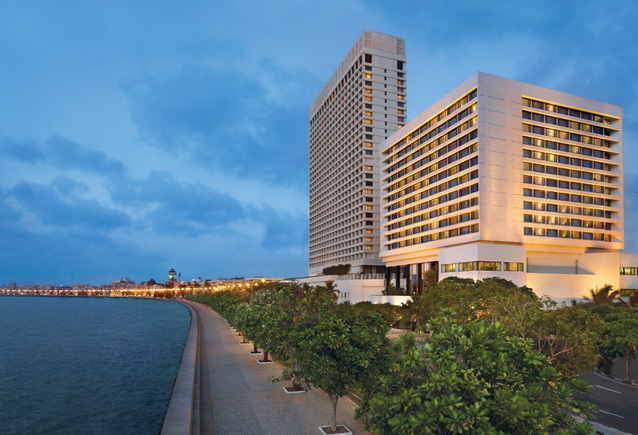 Owned and managed by Oberoi Group of Hotels, The Trident Hilton hotel is one of the classiest hotels in Chennai. 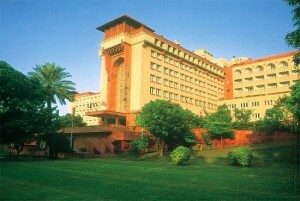 The hotel is set amidst sprawling gardens and offers an exquisite ambience as well. 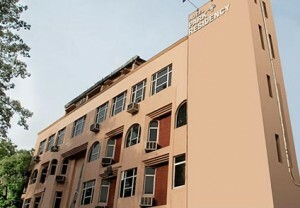 It is located quite close to the airport and several tourist attractions in Chennai. When it comes to top hotels in India, the heritage hotels in Rajasthan deserves a special mention. The stunning palaces, magnificent havelis and majestic forts of erstwhile Indian maharajas have now been converted into heritage hotels. These hotels are the perfect place to enjoy royal hospitality and well-mannered services. The grand structures have retained their old glory and charm and exhibit the artistic flavor of Rajput rulers. 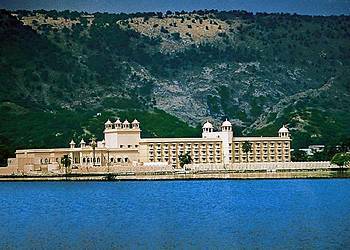 Some popular names in the list of heritage hotels include Jai Mahal Palace, Lake Palace and Umaid Bhawan Palace. These hotels are a part of Rajasthan tour packages and allow you to take back with you, a part of Indian history. Hotels in Indian metropolitan cities cater to varied chunk of travelers from India and abroad. These properties include heritage hotels, budget hotels, eco-friendly hotels, luxury hotels, economy hotels and beachside resorts among others. To cater to the rising demands of overseas travelers, these hotels are constantly upgrading themselves with state of the art technologies. Apart from parent group, these hotels are promoted by various tour operators and travel companies on their websites. A melting pot of varying cultures and an expensive city for expatriates, New Delhi has a continuous influx of people landing from far-off places on business, pleasure, leisure and education. 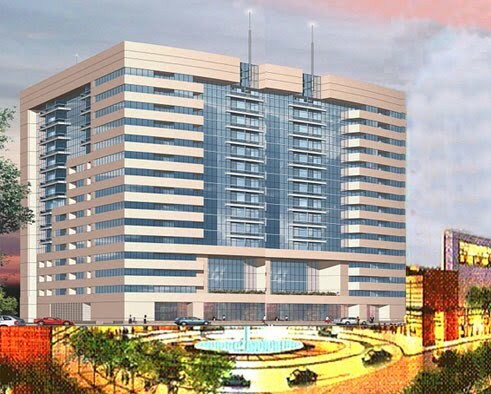 Therefore, rise and growth of hotels in New Delhi is inevitable. People who visit New Delhi belong to different sections of society. Their purpose is an important factor that decides the budget they set before planning a trip. Hotels in India especially Delhi caters to the need of all kinds of travelers. 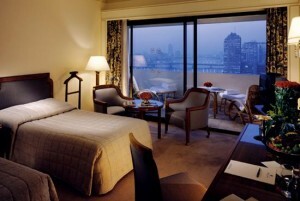 For a bureaucrat or a businessman, the quality and services offered by 5 star hotels in Delhi matters the most. When it comes to state of the art facilities and quality services, 4 star hotels in Delhi are no less luxurious. Besides state heads, bureaucrats and top-notch business tycoons, there is a certain class of tourists who travel on a shoe-string budget. Therefore, budget and 3 star hotels in Delhi are obvious choice for them. The best part about New Delhi hotels is that they are situated in proximity to famous tourist places. Located just 5 kilometers from New Delhi Railway Station, Metro Continental is a famous low-tariff hotel in the Karol Bagh area. It is a perfect option for tourists who would like to taste wine in beer budget. Built under the aegis of Palmohan Group of Hotels, hotel Metro Continental offers a choicest range of guest rooms. Each room is furnished with a range of modern amenities such as air-conditioning, direct dial telephone, LCD TV, mini-bar and digital safe in rooms. The dining room offers a large variety of Indian, Chinese and Mughal cuisines to our guests. The hotel staff is fully trained to ensure a comfortable stay for guests. Located near New Delhi Railway Station, hotel Tourist Deluxe, a part of S. Chand Group, is a 3 star hotel located in Pahar Ganj area. Owing to its position in the heart of the city, Tourist Deluxe offers proximity to the major markets such as Sardar Bazaar, Chandani Chowk and Connaught Place. Palm Grove, the multi-cuisine restaurant of this hotel, serves a wide range of delicious delicacies such as North Indian, South Indian and Chinese along with happy hours. 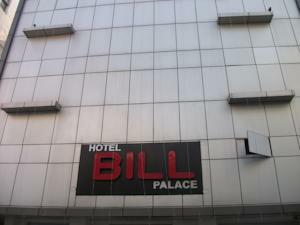 A popular name in the list of affordable hotels in Delhi, hotel Bill Palace is a famous budget hotel in Karol Bagh area. Started in 2003, hotel Bill Palace is a 3 star hotel featuring 23 well-appointed rooms categorized as Standard Room, Deluxe Room, Super Deluxe Room and Suites. Other facilities offered by this hotel include meeting rooms, conference hall and 2 multi cuisine restaurants serving Indian, Chinese and Continental food. Besides, the hotel also offers customized tour packages for city excursions. Located in the posh locality of Green Park, hotel Park Residency is a boutique business hotel designed with the motive to provide quality services to the travelers. All the guest rooms are classified as Standard Room, Deluxe Room and Suite Room, each of which offers a delicate blend of comfort and modern amenities. Modern amenities include air conditioning, LCD television and complimentary Wi-Fi access. Other facilities include The Clay Oven restaurant offering a wide array of Indian, Chinese and Mughal cuisines and Conference Hall with special packages for corporate guests. The above mentioned names are some of the best budget properties in New Delhi offering standard services at low prices. Most of these hotels are found in Karol Bagh, Vasant Kunj and Pahar Ganj area. Here is the comprehensive list of hotels in New Delhi that India Profile offers at affordable prices. 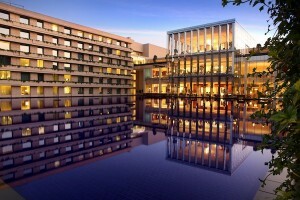 New Delhi is an absolute delight for both leisure and business travelers. If you are a traveler with a moderate budget and wants to taste wine in beer budget, these hotels in indeed fit the bill. India welcomes elite travelers from all across the globe to explore the rich cultural heritage. To make their stay comfortable and equipped with all luxurious facilities, there are various 5 star hotels, peppered throughout India. These hotels are praised for excellent accommodation facility, complemented with exceptional services and excellent decoration. Here is a small rundown of top 10 five star hotels in India (in no specific order) that are preferred by elite travelers for accommodation. Taj Mahal Palace is one of the finest five star hotels in Mumbai, owned and managed by Taj Hotels Resorts and Palaces group. There are 560 rooms and 44 suites available for the accommodation for the guests. These rooms and suites are equipped with all modern facilities and amenities to meet the satisfaction level of the guests. The hotel is a preferred choice amidst business traveler, as the hotel features excellent business facility to organize various business events and parties. The hotel also features 6 restaurants, 2 bars, lounge and a pastry shop in the dining facility. Therefore, apart from ambiance, hospitality and services, the hotel has bagged the ‘Times Food Guide’ awards in the two consecutive years 2010 and 2011. 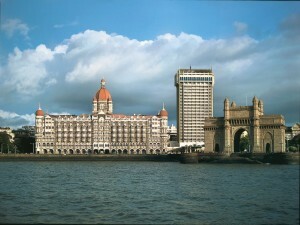 Find the list of top 10 five star hotels in India. 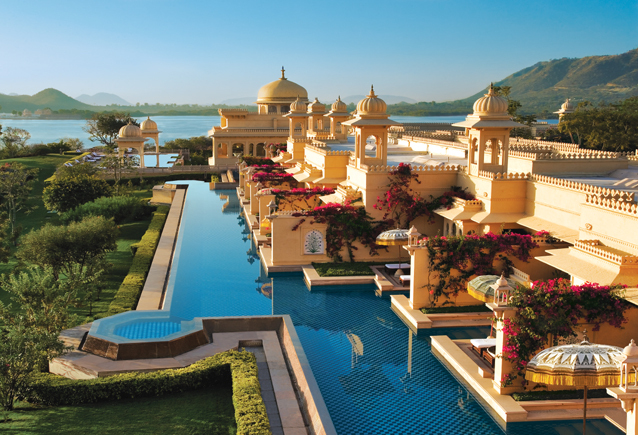 The Oberoi Udaivilas is one of the luxury hotels in Rajasthan, preferred by guests looking for a comfortable stay. The hotel is decorated with elements that remind the charm of the bygone era. 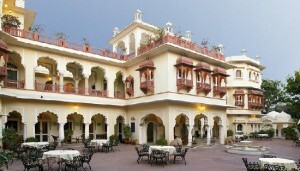 The hotel is also praised for its unspoilt beauty which is enhanced by its location being at the bank of Lake Pichola. The rooms and suites are well-decorated and equipped with modern amenities to ascertain a comfortable stay to the guests. Additionally, the hotel is also praised for modern business facility, restaurants serving international cuisine, meeting & conference facility, and luxurious spa, ensuring a memorable and rejuvenating stay. 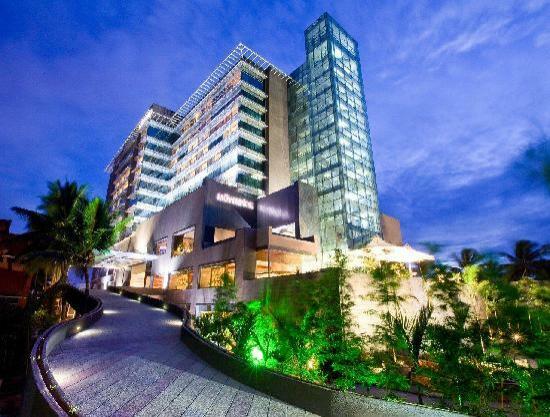 In the list of top five star hotels in India, ITC Kakatiya Hyderabad acquired a prominent position. For the accommodation of the guests, there are 188 rooms and suites equipped with modern facilities and services. To tantalize the tastebuds of the guests with scrumptious Hyderabadi, Mughlai, Chinese and North West Frontier cuisines, there are 3 in-house restaurants. A well-stocked bar is also available where guests could find a fine selection of wines, spirits and liquors. The hotel also features a grand ballroom, ‘Hyder Mahal’, where various special events and parties are organized. The capacity of the hall is to accommodate around 500 guests in total. Moreover, the hotel is also praised for Kaya Kalp spa for offering a relaxed and rejuvenated stay. The Leela Hotel in Goa is one of the finest hotels in India under the five-star category. With 206 well-appointed rooms, modern facilities, exceptional services, Indian hospitality, fine dining and modern business facilities, the hotel assured of a memorable stay. The hotel is set amidst 75 acres of idyllic setting. The guests can experience the glimpses of Goan culture. The hotel also features excellent business facilities that make it an ideal venue for conduction various corporate and business events and parties. To add the element of spoilt luxury, the hotel also features 3 golf courses. 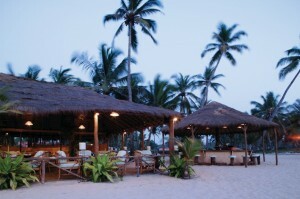 Here is the list of luxury hotels in Goa. 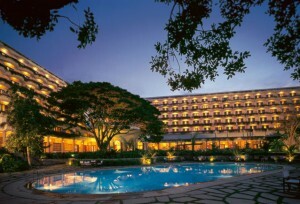 The Leela Palace Kempinski is one of the finest five star hotels in Bangalore. The hotel is set beautifully amidst 9 acres of garden. The interiors and exteriors of the hotel please the visitors. There are 129 rooms and 6 executive suites available for the accommodation. These rooms and suited as equipped with modern facilities and services to assure a comfortable accommodation. 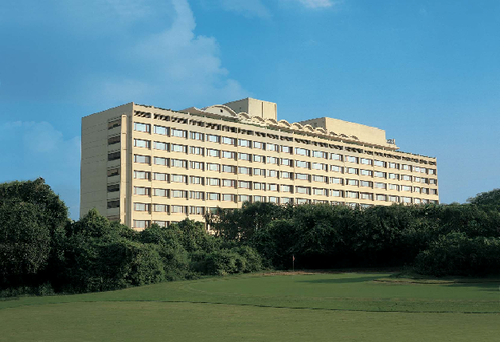 For modern facilities and excellent services, the hotel has also been rated amongst the best business hotels in the National Capital Region. The hotel has also bagged World Travel Awards in the Asia’s Leading Hotel category in 2011. 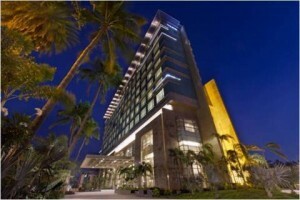 Find an extensive list of hotels in Bangalore. 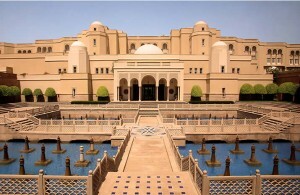 If you are visiting Agra, make sure you stay in the Oberoi Amarvilas. 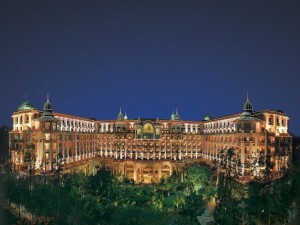 This is one of the sought-after five star hotels in India. The hotel is a preferred choice of the guests as the hotel is located close to the Taj Mahal, a World heritage Site and one of the Seven Wonders of the World. The hotel is decorated with elements that not only remind about the royal charm, but also ensure unspoilt luxury. The well-appointed rooms and suites are equipped with modern facilities and services assuring a comfortable stay. The hotel also features excellent dining facility, Oberoi Spa, and Meeting Room to meet the personal preferences of elite travelers. See more five star hotels in Agra at affordable price. In Kolkata, Taj Bengal is one of the finest five star hotels, acclaimed all across India. This is one of the favorite choices of the travelers as the hotel is located close to the airport. The architectural brilliance of the hotel also wins the heart of the guests. There are 229 rooms available in the hotel for the accommodation of the guests. The hotel also features in-housing dining facility where the scrumptious Bengali cuisine is served. There also is Taj Spa and Salon in the hotel to assure a relaxed and rejuvenated stay for the guests. Here is the list of affordable hotels in Kolkata. 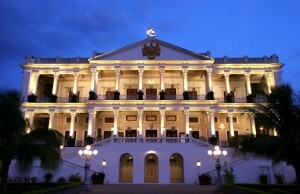 Taj Falaknuma Palace is one of the prominent luxury hotels in India, owned and managed by Taj Group in India. The hotel features 60 well-furnished rooms that are beautifully designed and equipped with all modern facilities that help in assuring a comfortable stay. Further, to help the guests with a memorable stay, there are various modern facilities available to complement the 5 star hotel packages. Some of them are conference & banquet hall, spa, pool, restaurants and bar. The hotel also features on-site restaurant which specializes in offering Hyderabadi Dum Biryani (a must try). Moreover, the hotel is adorned with rare chandeliers and furniture antiques. The Oberoi is regarded as one of the ultimate venues to spend a memorable vacation. The hotel assures pleasurable stay for elite guests with modern facilities, exceptional services and Indian hospitality. Moreover, the hotel also features equipped business center, health club, in-house restaurants and spa room. There are 202 spacious rooms and suites for the accommodation of the guests. These rooms are well-appointed and equipped with ultramodern room facilities. To tantalize the tastebuds of the guests, the hotel also features restaurants such as Amaranta, Threesixtyone, the Piano Bar, and Oberoi Patisserie & Delicatessen. 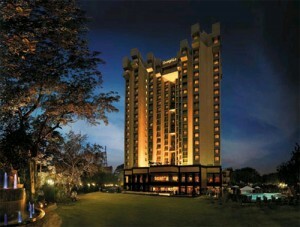 In Bangalore, Taj West End is one of the best accommodation options for travelers looking for luxury and comfort. 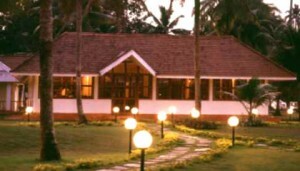 The hotel is beautifully nestled amidst 20 acres of greenery. The hotel is one of the finest five star hotels featuring excellent facilities and services ascertaining utmost satisfaction to the guests. The tranquility is one of the major factors that make it a most preferred choice amidst travelers. Along with contemporary facilities, such as secretarial service, salon and spa, the hotel also specializes in organizing various corporate and business events. There are 90 rooms and 26 suites that are well-appointed and provide the perfect mix of heritage history and modern concepts. Click here for an extensive list of hotels in India by cities at affordable price. India is praised for excellent travel attractions and unique hospitality that wins the hearts of the tourists. There are various hotels in India that offer accommodation with a perfect blend of contemporary facilities and Indian hospitality. 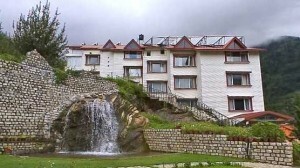 Aamod Resort is one of the most preferred four star hotels in Shimla, due to its beautiful location being surrounded by pine and oak forests. 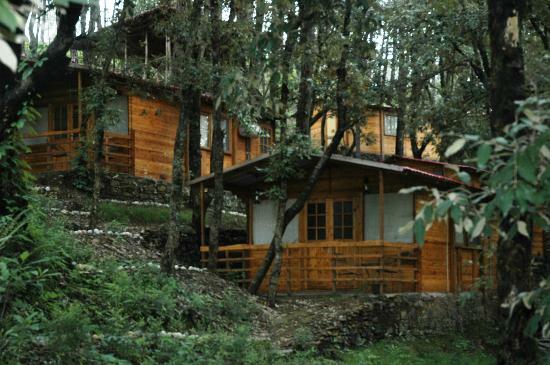 The eco tourism makes this hotel highly popular in the list of hotels in India. The plush cottage rooms exhibit the mix of nature and modern day amenities. The hotel also features a Colonial Restaurant and Bar, which specializes in serving local cuisine like ‘Subz Biryani’ and ‘Spaghetti Bolognaise’. For the entertainment of the guests, there also are dance performances and bonfires organized. Among the modern facilities, Spa is also featured in the hotel that helps in assuring a relaxing and rejuvenating stay for the guests. • Attracting Features: Cottage Rooms, Colonial Restaurant & Bar, Spa, Nature Walks, Picnics, Bird Watching, and Private Dinner. Located in the Pink City – Jaipur, Alsisar Haveli (managed by Alsisar Hotels Group) is one of the finest four star luxury hotels in Jaipur India. The hotel serves as an ideal venue for elite banquets and royal theme weddings. 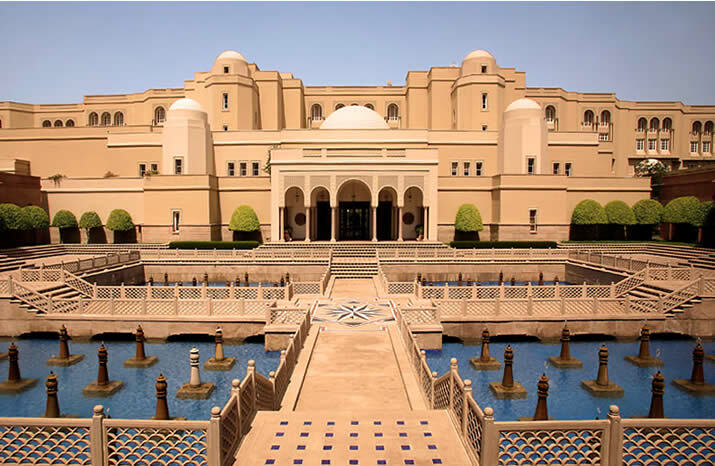 The architectural aspects of the hotel reminisce the royal Rajput heritage. There are 45 rooms available for the accommodation of the guests. These rooms are equipped with modern facilities and services that help in making the stay memorable and comfortable. The hotel also features travel desk, which facilitated elephant safari at the Amber Fort, cultural programs and heritage walk on request. Special sightseeing packages are also available. 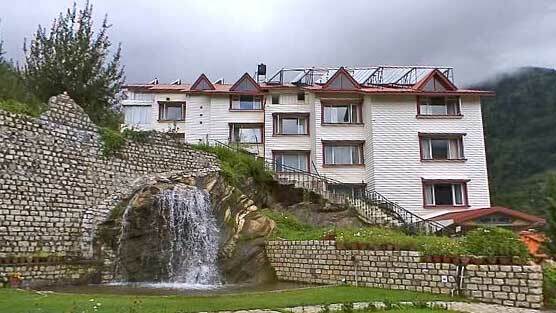 In the list of four star hotels in Manali India, Apple Country Resort occupies a significant position. The hotel is a preferred choice amidst travelers as they get the perfect blend of luxury and nature. There are 39 elegantly decorated rooms and suites available for the accommodation of the guests. The hotel is also adorned with apple orchard and beautiful landscape surrounding the hotel. Along with excellent dining facility, the hotel also features rejuvenation amenities like spa, discotheque and bar. Apple Country Discotheque inside the hotel is an amazing option to enjoy vibrant nightlife in Manali. • Attracting Features: 39 Rooms & Suites, Apple Country Discotheque, Spa, Restaurant, and Bar. New Delhi, the capital city also features Avalon Courtyard, one of the finest first class hotels in New Delhi India. Major attributes such as plush apartments, suites, a health club, and the Wishing Tree Café are some of the specialty guest services. To ensure the element of luxury, throughout the stay, the residence suites are equipped with a refrigerator, a mini bar, and bath with showers and Jacuzzi. Additionally, the hotel is also an ideal choice amidst business travelers as this hotel feature excellent business facilities such as meeting hall and conference rooms equipped with projectors, Wi-Fi and internet connectivity. The hotel is also acclaimed for recreational facilities such as Wellness Tree Gym and Spa. Ayurtheeram Ayurvedic Resort is a treat for nature lovers. The hotel sprawls over 17 acres of lush greenery along the beautiful backwater chain. The stay here is close to nature and refreshing for the guests. The hotel is also a preferred choice for the guests looking for a fine ayurvedic hotel in India. The hotel features holistic and rejuvenation therapies, yoga and meditation sessions for the guests. For the entertainment of the guests, the hotel also features houseboat trips. Excellent dining facility also adds to the major attributes of the hotel. Bassi Fort Palace, owned & managed by WelcomHeritage group, is one of the finest 4-star hotels in India. The palace was built by the rulers of the Chundawat clan in the 16th century. 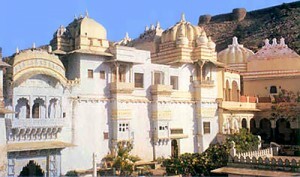 The Palace is constructed at a location where it overlooks the fort. Located amidst beautiful landscape, this hotel is one of the best hotels in Mewar Region. 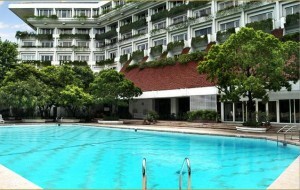 The hotel also serves as an excellent venue for themed parties and royal weddings. Moreover, landscaped garden, palatial rooms and grand dining hall add to the major attributes of the hotel. • Attracting Features: Traditional Welcome, Entertainment Cultural Programs in evening, Rajasthani Cuisine, picnic, jeep safari, theme parties and special functions. Goa is a sought-after travel destination, and Baywatch Resort is one of the best hotels in Goa to ensure a comfortable stay. Being a 4-star rated hotels, there are world-class facilities and services offered to make the stay memorable. The hotel is praised lovely ambience, excellent dining facility and different entertainment opportunities. Along with modern amenities, the hotel is also a preferred choice of the guests due to its ideal location. Spa & massages services, fitness center, pool side bar, and swimming pool are some of the recreational facilities featured in the four star hotel packages. Thrilling theme nights are also one of the attracting features of this hotel. Moreover, you can also tantalize your tastebuds with Exotic seafood served in the in-house restaurant. Various beach sports and games are also organized for the entertainment of the guests. • Attracting Features: Deluxe Rooms & Suites, Swimming Pool, Pool Side Bar, Spa & Massages Services, Restaurant, Water Games and Beach Sports. Ivy Studio is one of the airport hotels, located at a distance of 8 km from the railway station. The location of the hotel, close to the airport and railway station makes it a popular choice amidst the travelers. The rooms are well-appointed and equipped modern facilities and excellent services. To meet the personal preferences of the guests, the 39 plush rooms are categorized as Silver, Gold and Platinum. The hotel also features ‘The Sunset Lounge’ and ‘The Pebbles Restaurant’ to help the guests to unwind and taste delectable cuisines. The hotel is also considered as an ideal accommodation type for business travelers. There are 3 conference halls each equipped with modern equipments. 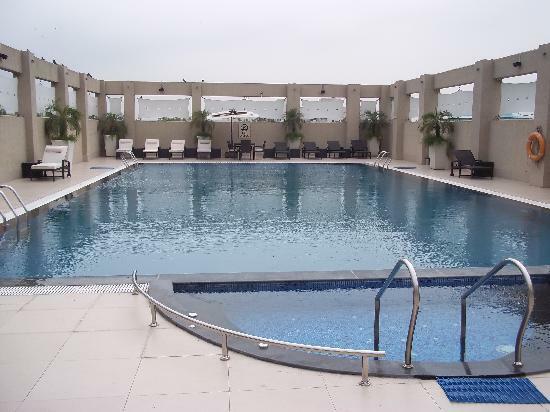 Additionally, among the recreational facilities, the hotel features the swimming pool and gymnasium. • Attracting Features: Stamina – The Gym, The Lagoona – Swimming Pool, Conference & Banquet Facility, Wi-Fi Connectivity, Jacuzzi Baths. Oberoi Maidens is another popular four star hotel in New Delhi. This hotel is one of the preferred choices amidst travelers as the hotel is located at a short distance from the international airport and railway station. The hotel is praised for its elegant decoration and plush room equipped with modern facilities and services. The hotel is also acclaimed for facilities such as a rooftop restaurant, spa services and modern conference venue. The executive suites are also equipped with a personal butler service and mini bar. The recreational facilities such as spa, swimming pool and fitness center also add to the level of comfort and ensure a memorable stay in Delhi. • Attracting Features: Private Dining, Club Bar, Rooms & Suites, Travertino and Threesixtyone Restaurants, Meeting & Conference Rooms. 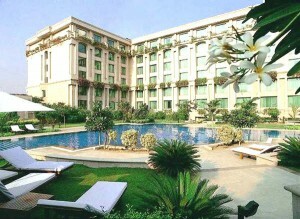 The Trident, located in Jaipur, is a preferred choice amidst holidaymakers, business travelers and family travelers. The hotel features a Kids Club where kids can enjoy various indoor and outdoor entertainment games. There also is a play room and library supervised by a manager. The 132 plush rooms are praised for contemporary settings blended with ethnic décor. Moreover, to tantalize the tastebuds of the guests, there also are in-house restaurants such as Jal Mahal, Verandah and Mansagar, serving delicious delicacies. The hotel also proves to be an ideal accommodation for Business travelers as the hotel features a range of secretarial services. • Attracting Features: 132 Guest Rooms, Jal Mahal Restaurant, Swimming Pool, Kids Club, Fitness Center.